Sometimes, the most important accomplishment is simply proving something can be done. Call it a one-of-a-kind solution for a one-of-a-kind scenario. 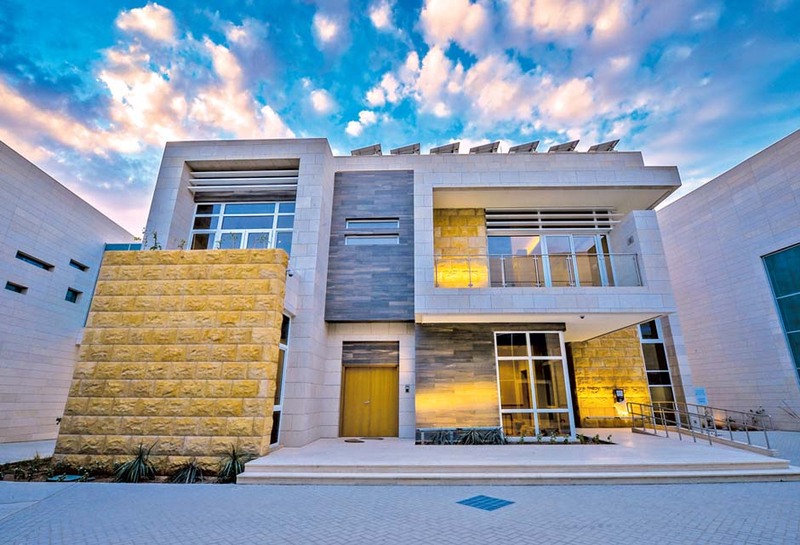 The Home of Innovation Demonstration House is the first single-family home in the Middle East to earn Platinum certification under the U.S. Green Building Council (USGBC)’s LEED for Homes International Pilot program. 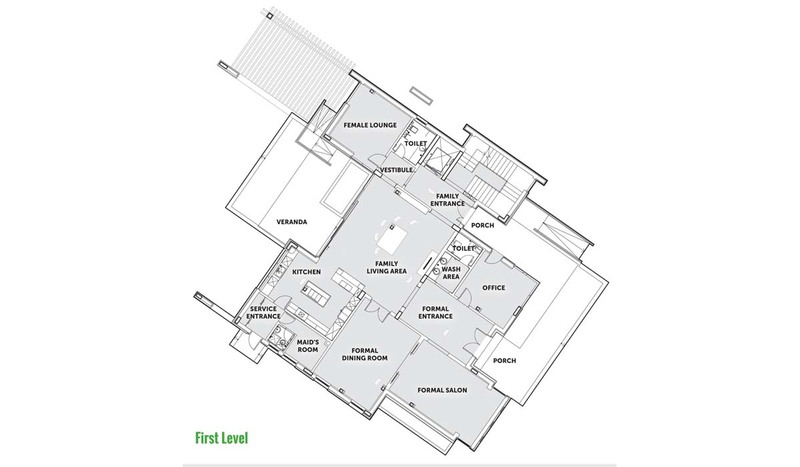 It also is designed and built to achieve a net-zero energy balance. What visitors find truly remarkable is that the house accomplishes those goals even though it was built in Riyadh, Kingdom of Saudi Arabia, one of the world’s harshest climates. 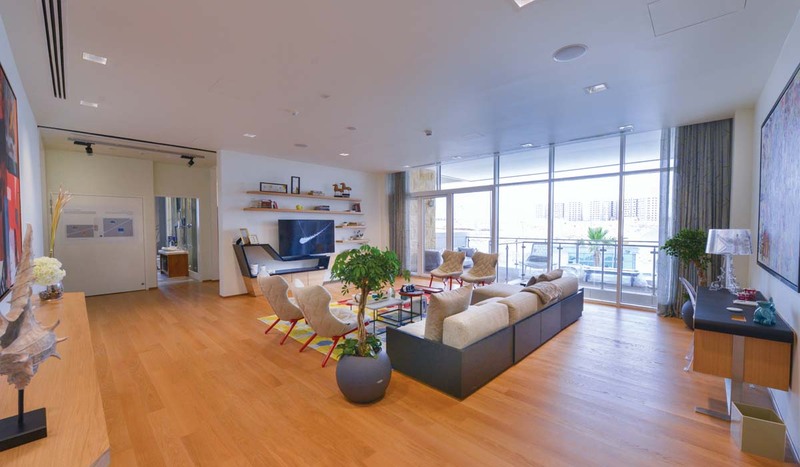 In that place, high-performance housing is the exception not the rule, according to Rich Binsacca, international communications program manager at IBACOS Inc., the project’s innovation consulting firm in Pittsburgh, Pa. The three-level, 8,600-square-foot home sits within a three-building complex serving the Home of Innovation, a collaborative regional business growth initiative with a focus on better building performance. Two buildings that make up a Collaboration Center the Home of Innovation have earned Gold certification from the USGBC’s LEED-NC rating system. 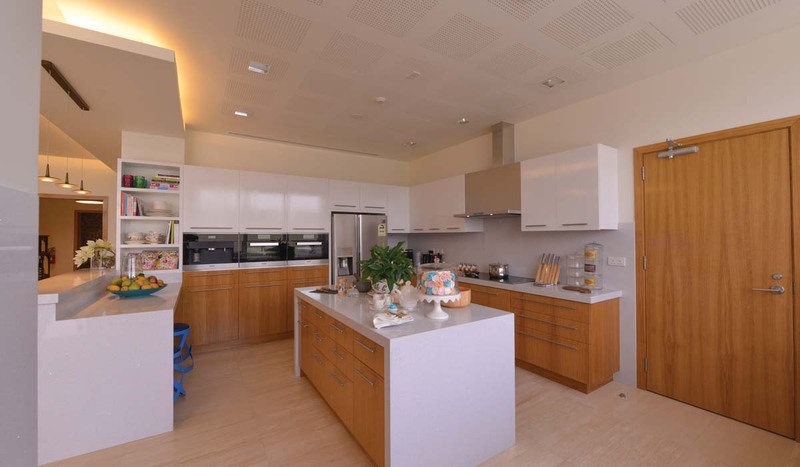 Built as a prototype, the fully furnished house showcases innovative yet commercially available products and systems integrated to achieve high levels of building performance and resource efficiencies. It is intended to steer the region’s construction industry toward more sustainable building practices and encourage local industry to manufacture advanced building products, according to Dennis Steigerwalt, managing director of international programs for IBACOS. To achieve LEED-Platinum and aspire to a net-zero energy balance, the home features a 28-kWh rooftop solar array, a bank of 88 lithium-ion solar batteries that stores surplus electricity for power outages. 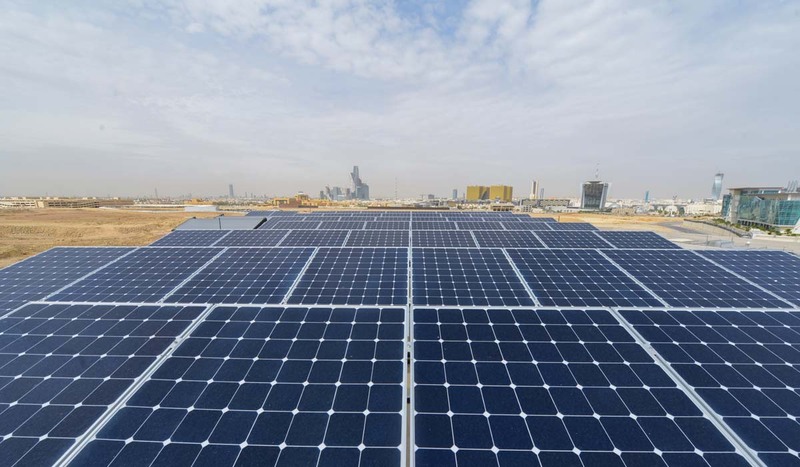 Saudi Arabia does not yet offer net-metering, but the house is ready when it does, according to Steigerwalt. The project introduced insulated concrete forms (ICFs) for the home’s structural/thermal envelope. Combined with additional air sealing and high-performance fenestration, ICFs reduced the home’s overall energy load by at least 30 percent compared to conventional building practices and enabled the optimization—and further energy savings—of heating, ventilating, and air conditioning (HVAC) equipment and appliances. Although a new and innovative technology for construction in Saudi Arabia, ICFs are a logical evolution from the prevailing use of concrete block, according to Binsacca. Other systems and products featured in the Demonstration House respond to the Kingdom’s desire to conserve energy and water resources, and enable healthful indoor air. Cabinets, Shelves, Millwork: Group Harwal, J&P Ltd. The home’s central and mini-split HVAC systems, including air filtration and energy recovery ventilation, contribute to a 40 percent overall reduction in energy use compared to conventional homes of the same size. 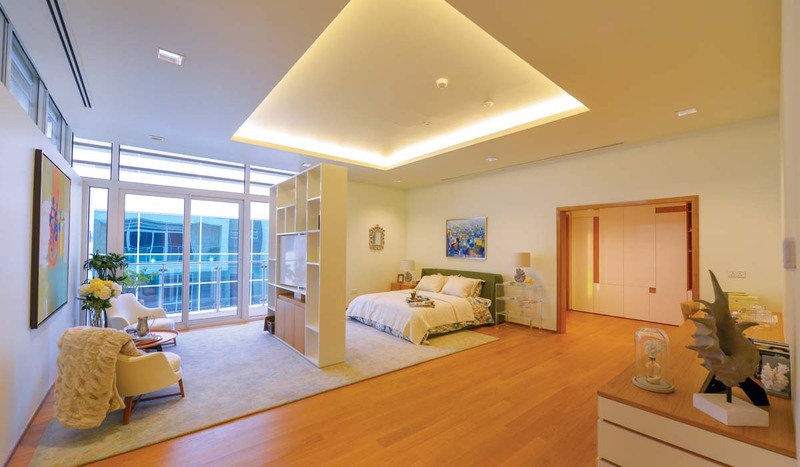 Energy efficiency abounds in the home’s long-lasting lighting fixtures, controls and sensors, low-flow and water-saving plumbing fixtures and appliances, and solar hot water. Outdoors, there is drought-tolerant landscaping with a high-efficiency irrigation system and no-turf grass areas. These are served by an on-site graywater reclamation system that helps reduce potable water use by 50 percent. The home features a monitoring system that tracks the home’s water use, graywater reclamation, energy use, solar generation and various weather conditions. Overall, about 92 percent of construction waste is diverted from landfills through recycling and reuse. The Home of Innovation Demonstration House’s massive size makes it ideal for large tours and special exhibits designed to educate the masses about green building. In some cases, there’s a degree of redundancy to stress the different ways products can work in a given situation or environment. 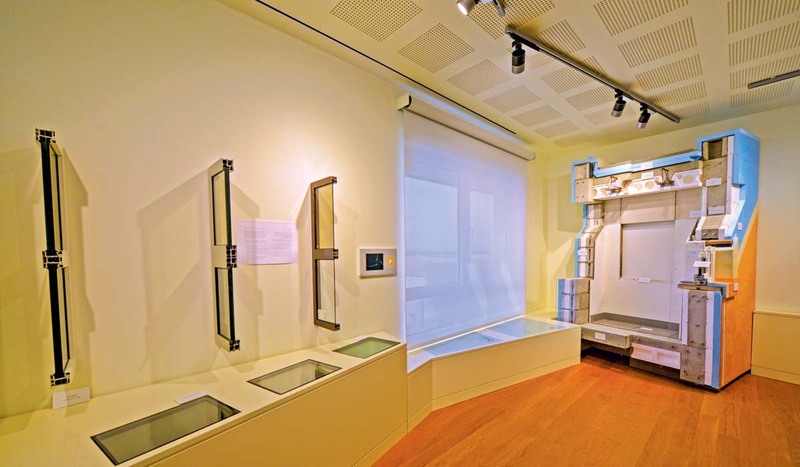 To help show and tell visitors the story of high-performance housing, two of the home’s secondary bedrooms and a shared bath were converted into an interactive exhibit space. This “Performance Zone” features system mock-ups and animated videos, digital and printed content, and key products on display. The extremely positive response to the prototype comes in spite of the fact that it functions more as a curiosity than a realistic living place for most of Saudi Arabia’s populace, according to Steigerwalt. Some of that is timing: The nation expects to need 3 million more homes by 2025, a 50 percent jump from the 6 million currently present. Construction experts locally and globally have already inquired about buying the floorplans from SABIC. Others are taking notes of elements they can use in their own projects, or methods they can use to train contractors and workers. A Somfy window shading system and 3M window tinting reduce daily glare while keeping natural lighting useful. Water conservation matters more in Saudi Arabia than in many parts of the world. 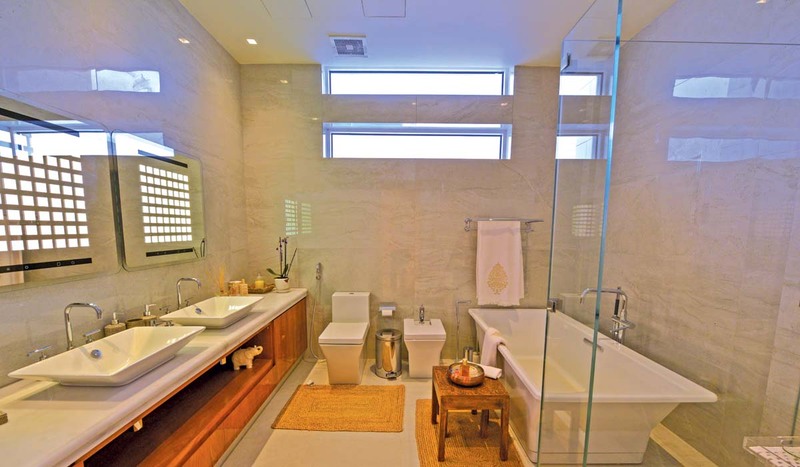 The Demonstration House features environmental aids such as an in-wall toilet tank, low-flow and water-saving plumbing fixtures, and bath fans. Already open to a lot of natural lighting, the home’s overhead illumination carries further thanks to a 28-kWh rooftop solar array with 88 lithium-ion solar batteries, and skylight windows. An educational, interactive exhibit space will feature system mock-ups, videos, digital and printed content, and key sustainable products. Sandstorm monitoring equipment helps keep the air, furniture and floor clear of sand after a storm hits the area. To achieve LEED-Platinum and aspire to a net-zero energy balance, the home features a 28-kWh rooftop solar array with 88 lithium-ion solar batteries. © 2019, Green Builder Media. All rights reserved. This article is the exclusive property of Green Builder Media. If you would like to reprint this content, you are free to extract a short excerpt (no more than 1/4th of the total article), as long as you 1. credit the author, and 2. include a live link back to the original post on our site. Please contact a member of our editorial staff if you need more information. 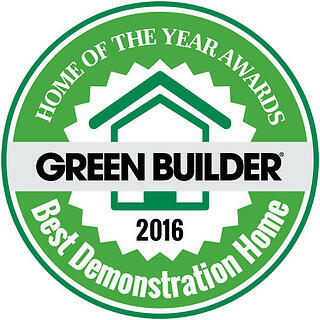 Have an idea for a guest blog for Green Builder Media? Click here to become a blogger.